Inheritance planning is amongst the most important aspects of your financial life. Many people consider inheritance planning to be the preserve of the very rich, something that the majority of the population need not worry about. This is incorrect for two reasons. First of all, although property prices have taken a significant hit during the recession, the subsequent return to high values will mean that many households find themselves within the Inheritance Tax (IHT) threshold, known as the nil-rate band. Furthermore, inheritance planning is not just for those with an IHT liability. Rather, it is about ensuring that your assets, regardless of their value, are disbursed in an efficient and effective manner, and in a way that reflects your wishes. For these reasons, Inheritance Tax planning should be a consideration for everyone. For many people, this will be as simple as Writing A Will. If properly drafted, witnessed and signed, this will be enough for many. It will help to ensure that your assets are divided up in an appropriate way, and that your estate will not fall victim to intestacy laws. Writing a will is particularly important if you are unmarried, or if you wish for some or all of your assets to pass to a person other than your spouse. However, many others should give due consideration to the risks posed by Inheritance Tax. Although initially designed to break up huge estates, this tax now threatens to relieve your descendents of 40 per cent of the value of their inheritance. This is not, generally, the way in which most people envisage their affairs being dealt with. Inheritance tax planning is an ongoing process which may involve techniques like gifting and the establishment of trusts. This is beyond the knowledge of most people. 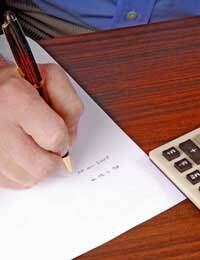 If you have an Accountant, they may be able to offer some advice. This is particularly true in the case of estates which fall above the Inheritance Tax threshold (£325,000 in 2018-19) but are not particularly complex. This may involve setting up a trust to separate certain assets from your estate – a task for which you should always seek professional advice. However, as a result of the specialised nature of inheritance planning, some ‘standard’ accountants may not be able to offer you the help that you need. In these cases you should seek specific advice. Perhaps unexpectedly, some banks offer excellent inheritance tax planning advice. They can aid you with the establishment of both British-based and offshore trusts, and can also act as professional executors or trustees. However, it is important to remember that these organisations are ultimately out to make money, and the advice you receive may not, therefore, be entirely impartial.